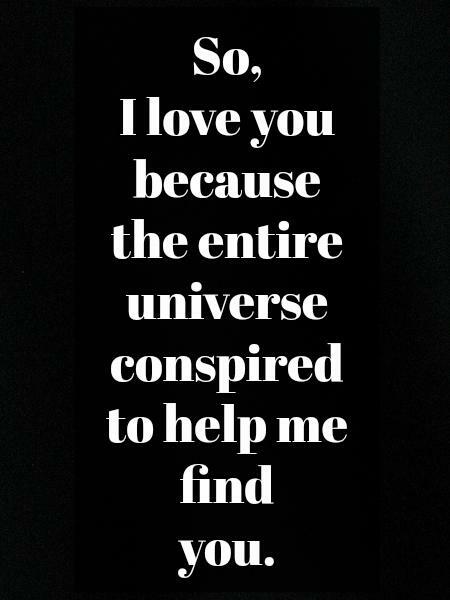 That's why we rounded up 100 of the best, most inspirational and romantic love quotes for her (and him!) 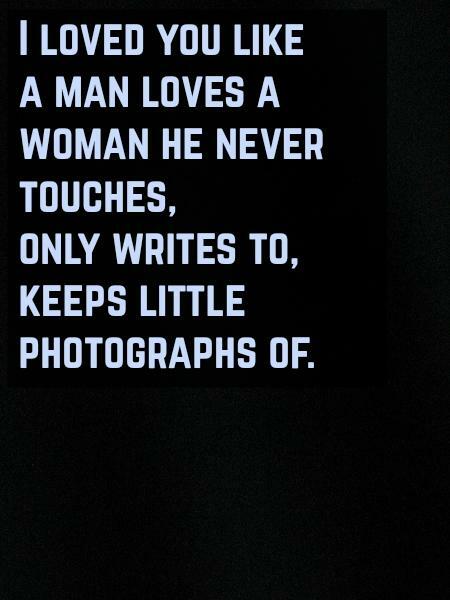 as uttered or written by poets, authors, celebrities and lovers around the world and across time that are perfect to share with the man or woman in your life. "One day you will kiss a man you can't breathe without and find that breath is of little consequence." 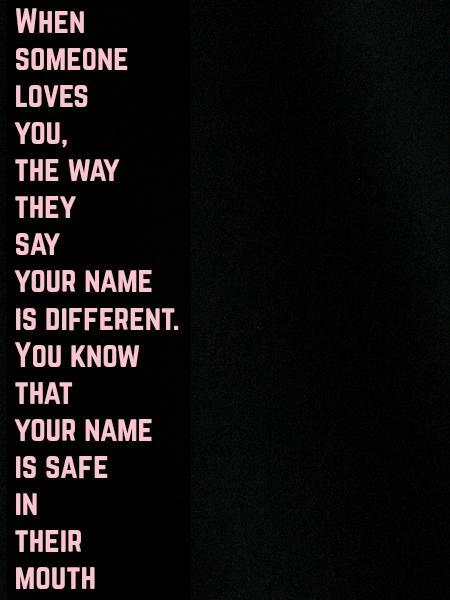 "I love you without knowing how, or when, or from where. 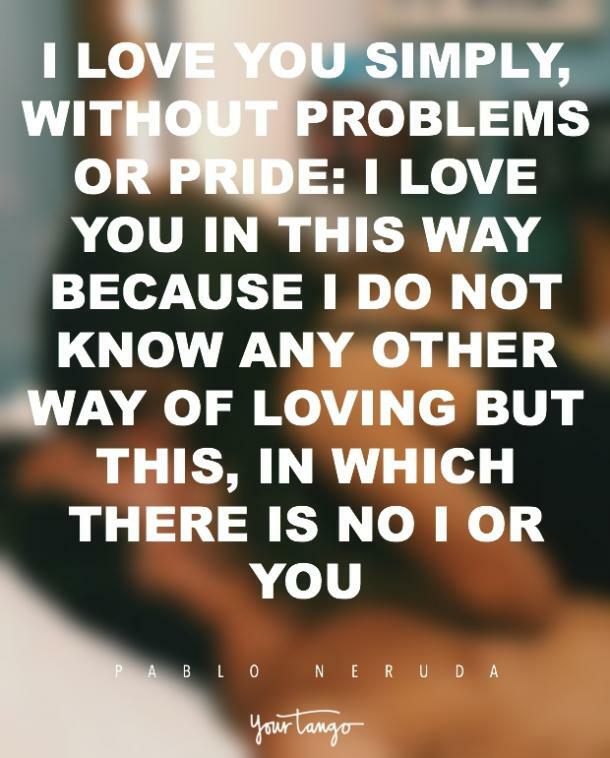 I love you simply, without problems or pride: I love you in this way because I do not know any other way of loving but this, in which there is no I or you, so intimate that your hand upon my chest is my hand, so intimate that when I fall asleep your eyes close." 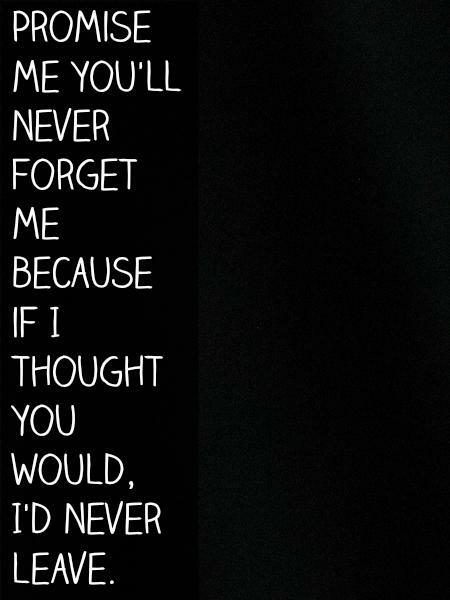 "Promise me you'll never forget me, because if I thought you would, I'd never leave." 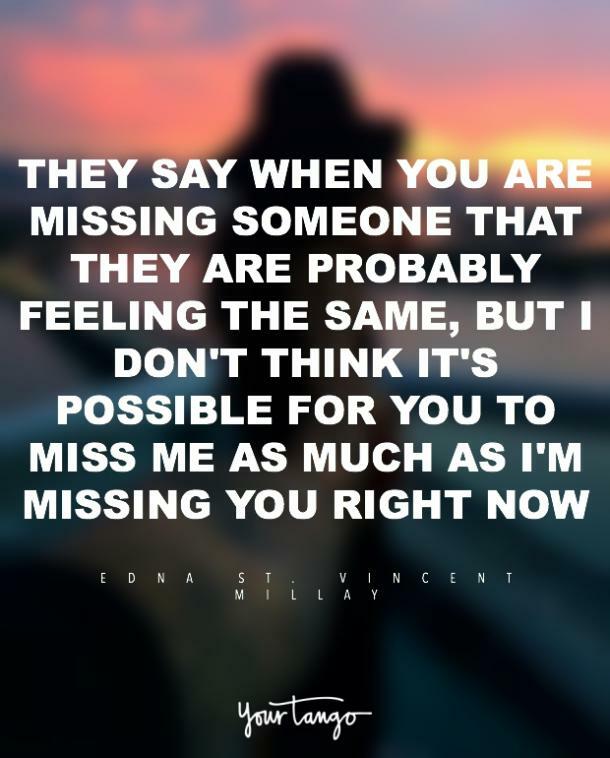 "They say when you are missing someone that they are probably feeling the same, but I don't think it's possible for you to miss me as much as I'm missing you right now." "Romance is the glamour which turns the dust of everyday life into a golden haze." "So it's not gonna be easy. 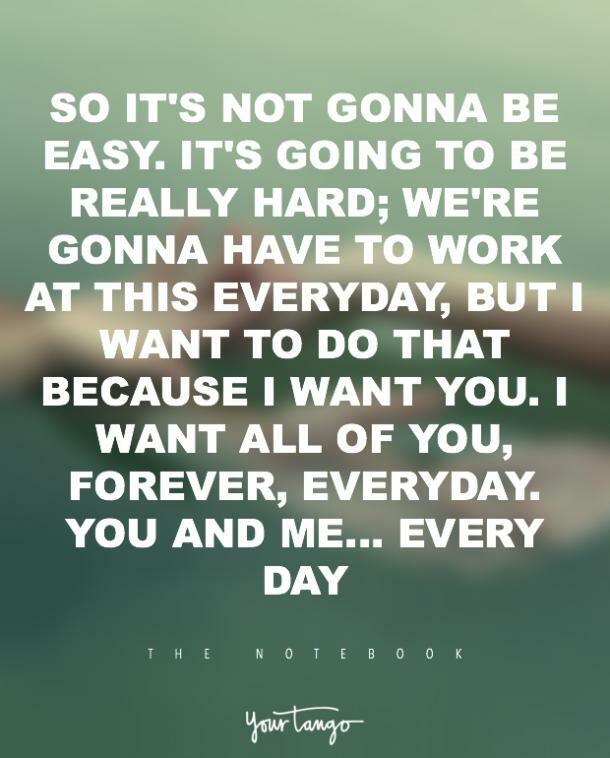 It's going to be really hard; we're gonna have to work at this everyday, but I want to do that because I want you. I want all of you, forever, everyday. You and me ... every day." 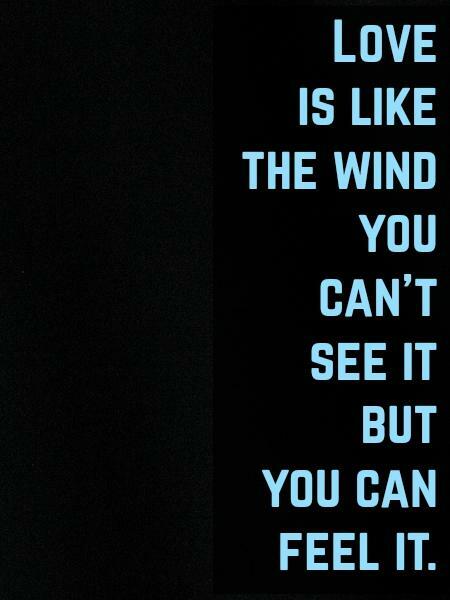 "Love is like the wind, you can't see it but you can feel it." "If I had a flower for every time I thought of you ... I could walk through my garden forever." "I desire a love so loud that is shatters the darkness — its echoes reverberating through the rising and falling of the sun." 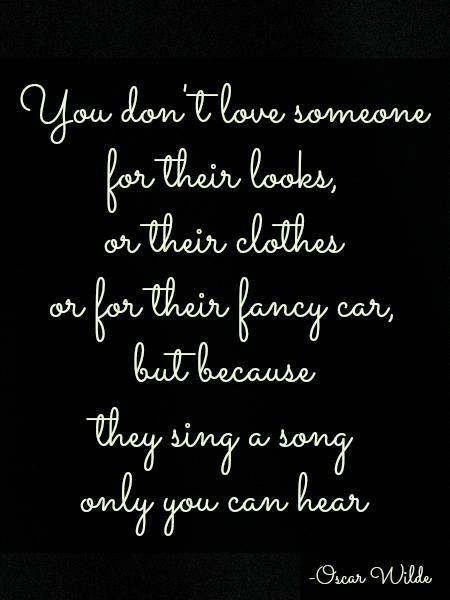 "You don't love someone for their looks, or their clothes or for their fancy car, but because they sing a song only you can hear." "If all else perished and he remained, I should still continue to be; and if all else remained, and he were annihilated, the universe would turn to a mighty stranger." “I couldn't stop staring at his mouth when he spoke. I bet he knew how to kiss. Perfect kisses too, ones that weren't wet and gross, but the kind that curled toes." "Here it's safe, here it's warm. Here the daisies guard you from every harm. Here your dreams are sweet and tomorrow brings them true. Here is the place where I love you." 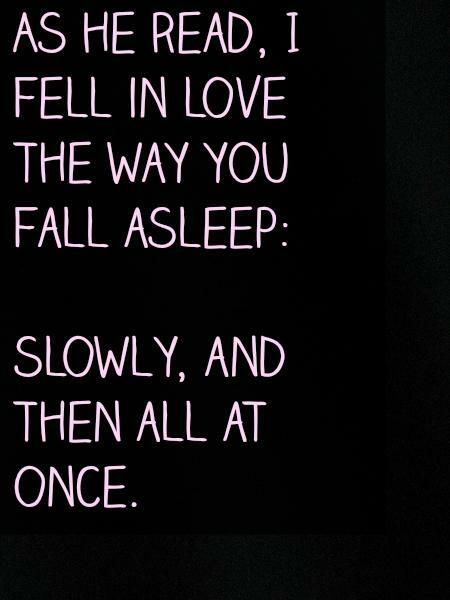 "When I saw you I fell in love, and you smiled because you knew." "Her heart was wild, but I didn't want to catch it, I wanted to run with it, to set mine free." "Two people in love, alone, isolated from the world, that's beautiful." "An it was as if our lives collided in an unbelievable exquisite mess." "Any man who can drive safely while kissing a pretty girl is simply not giving the kiss the attention it deserves." 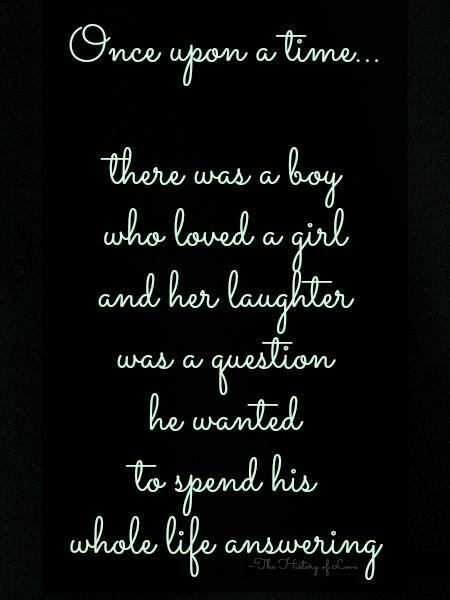 "Once upon a time there was a boy who loved a girl and her laughter was a question he wanted to spend his whole life answering." "Oh, how a quiet love can drown out every fear." "I see the real you and it makes me want to peel myself open, and let you tear me apart." "A soulmate's purpose is to shake you up, tear apart your ego a little bit, show you your obstacles and addictions, break your heart open so new light can get in, make you so desperate and out of control that you have to transform your life, then introduce you to your spiritual master ..."
"The real lover is the man who can thrill you by kissing your forehead or smiling into your eyes or just staring into space." "I need you like a heart needs a beat." "Only once in your life, I truly believe, you find someone who can completely turn your world around. You tell them things that you've never shared with another soul and they absorb everything you say and actually want to hear more. You share hopes for the future, dreams that will never come true, goals that were never achieved and the many disappointments life has thrown at you. 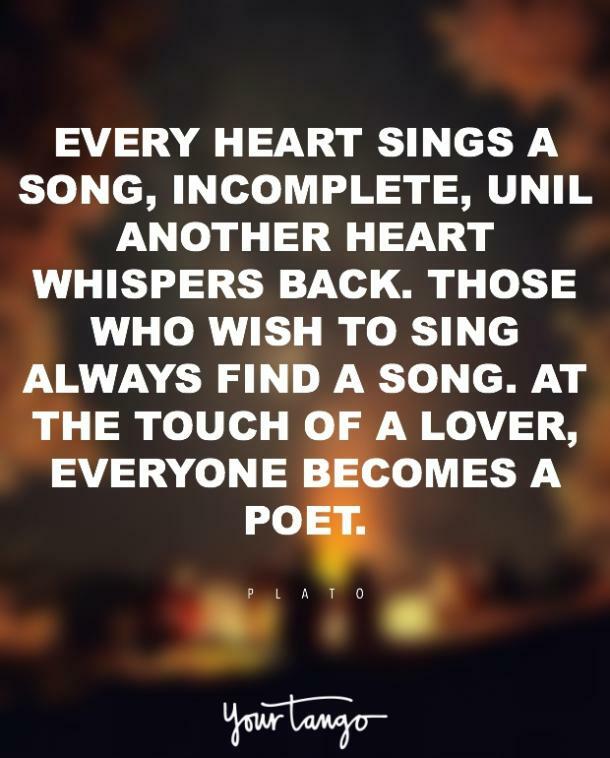 The things that seem insignificant to most people such as a note, song or walk become invaluable treasures kept safe in your heart to cherish forever. Memories of your childhood come back and are so clear and vivid it's like being young again. Colors seem brighter and more brilliant. Laughter seems part of daily life where before it was infrequent or didn't exist at all. 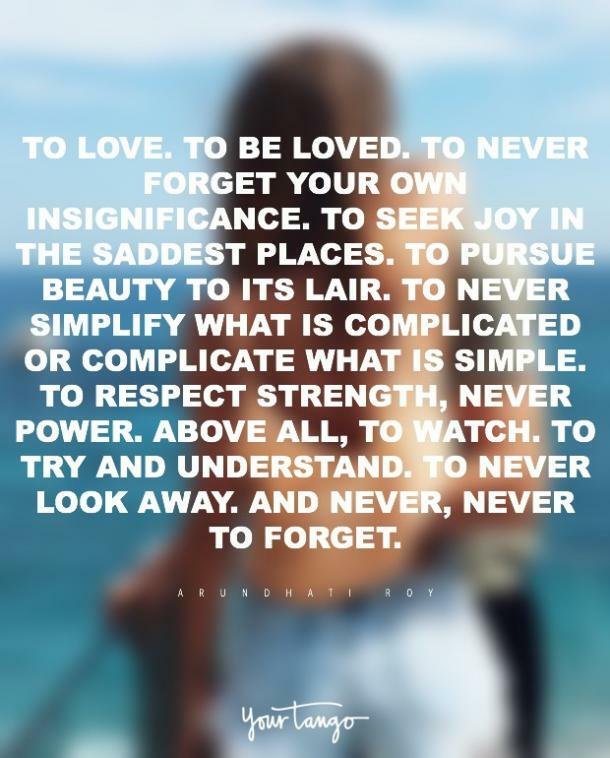 Simple things bring them to mind like a pale blue sky, gentle wind or even a storm cloud on the horizon. 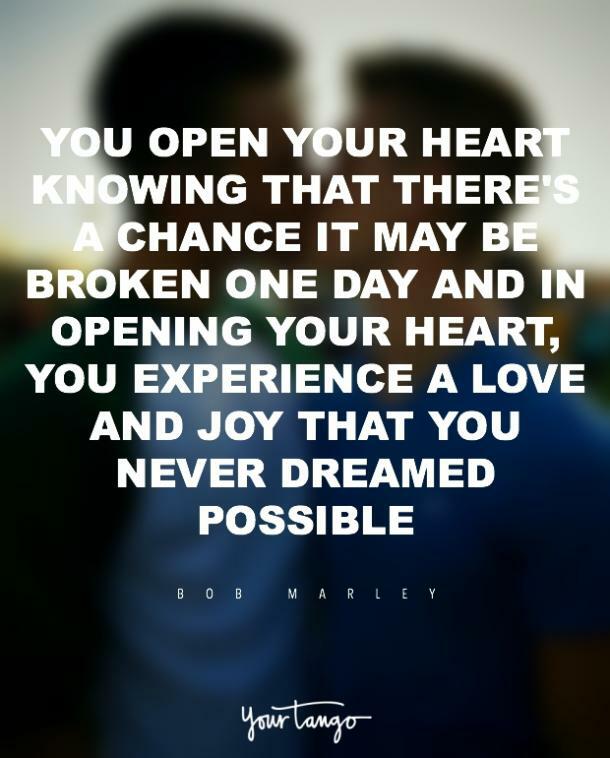 You open your heart knowing that there's a chance it may be broken one day and in opening your heart, you experience a love and joy that you never dreamed possible." "Come live in my heart and pay no rent." "If I know what love is, it is because of you." 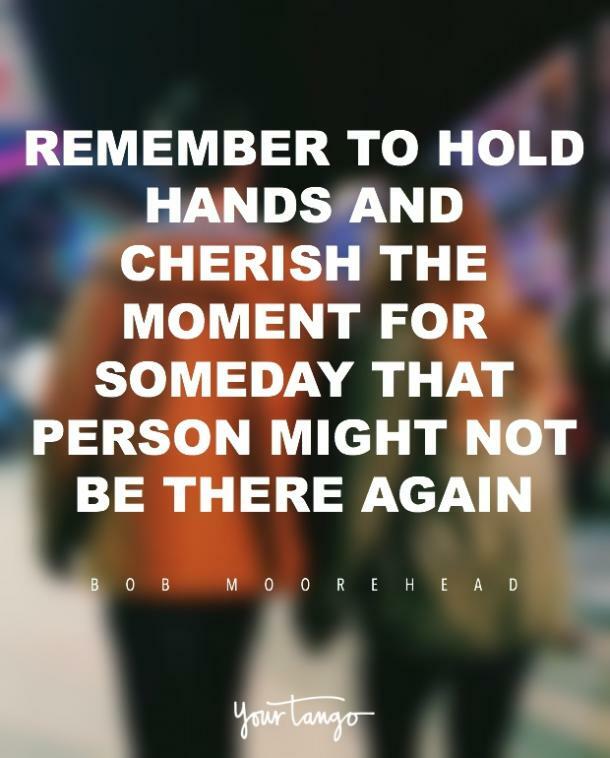 "Remember to hold hands and cherish the moment for someday that person might not be there again. 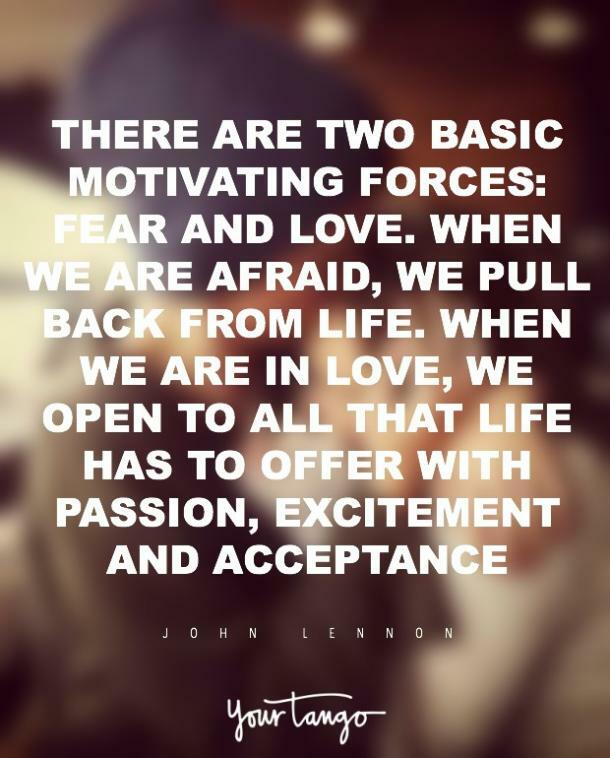 Give time to love, give time to speak! And give time to share the precious thoughts in your mind." "There is only one happiness in life, to love and to be loved." "Before you, Bella, my life was like a moonless night. Very dark, but there were stars, points of light and reason. And then you shot across my sky like a meteor. Suddenly everything was on fire; there was brilliancy, there was beauty. When you were gone, when the meteor had fallen over the horizon, everything went black. Nothing had changed, but my eyes were blinded by the light. I couldn't see the stars anymore. 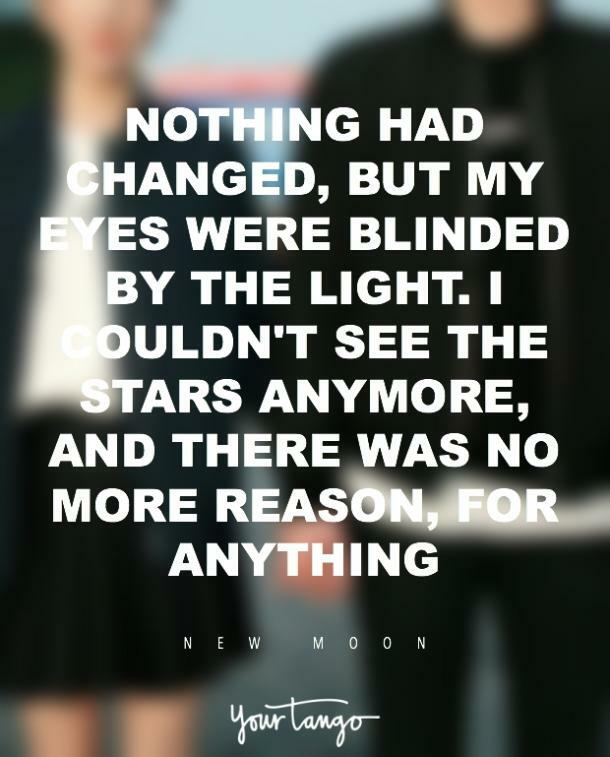 And there was no more reason, for anything." "Loving you never was an option. It was a necessity." 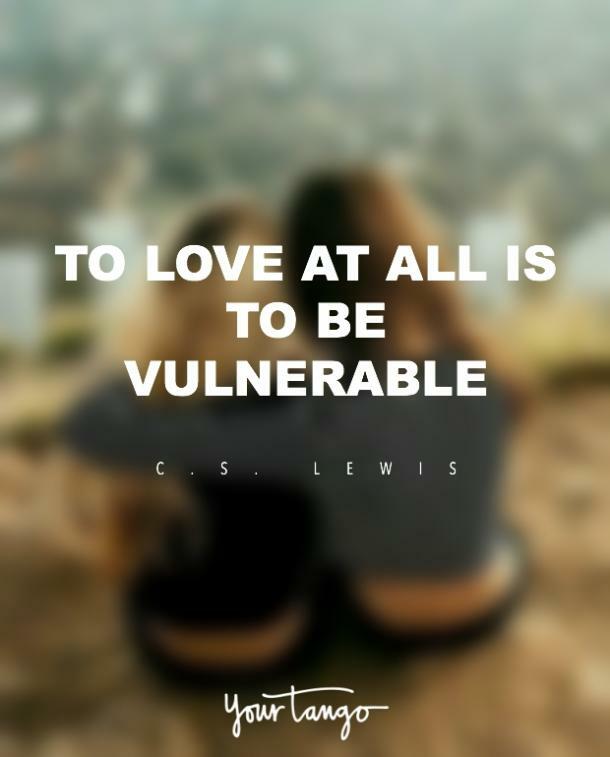 "It isn't possible to love and part. You will wish that it was. 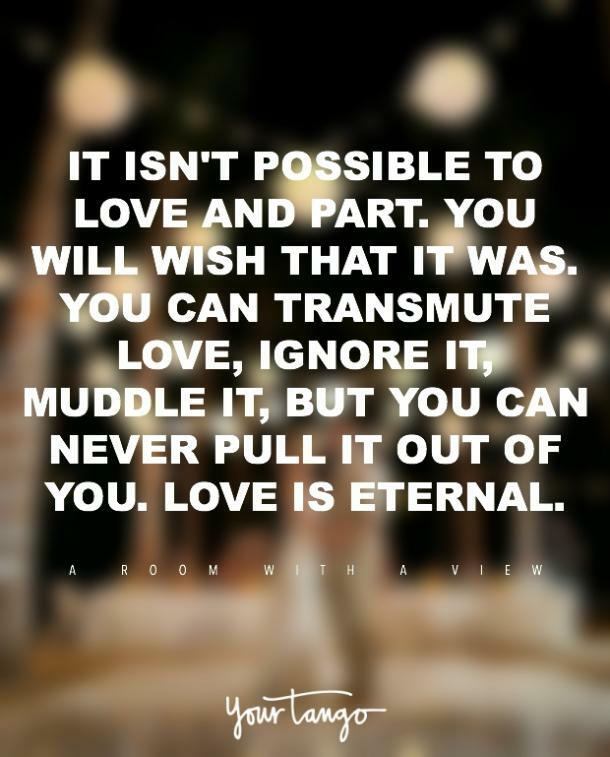 You can transmute love, ignore it, muddle it, but you can never pull it out of you. I know by experience that the poets are right: love is eternal." "When I look into your eyes, I know I have found the mirror of my soul." "If you gave someone your heart and they died, did they take it with them? 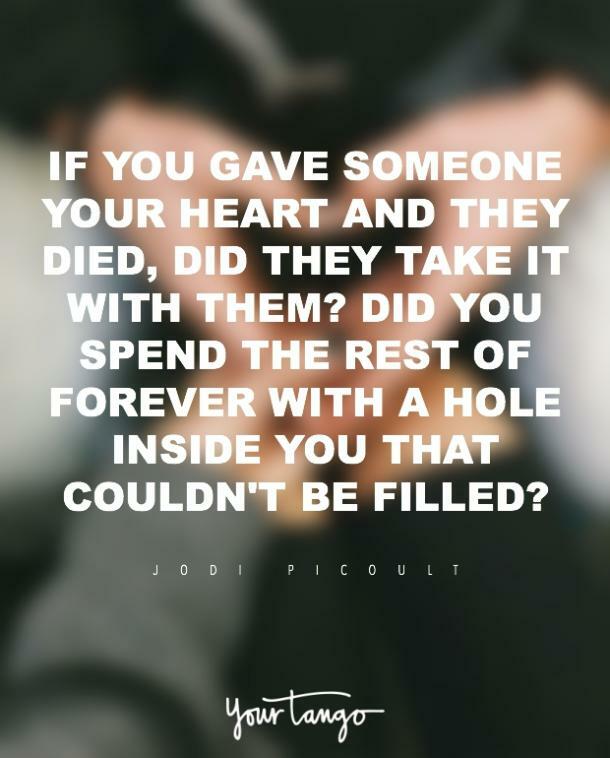 Did you spend the rest of forever with a hole inside you that couldn't be filled?" 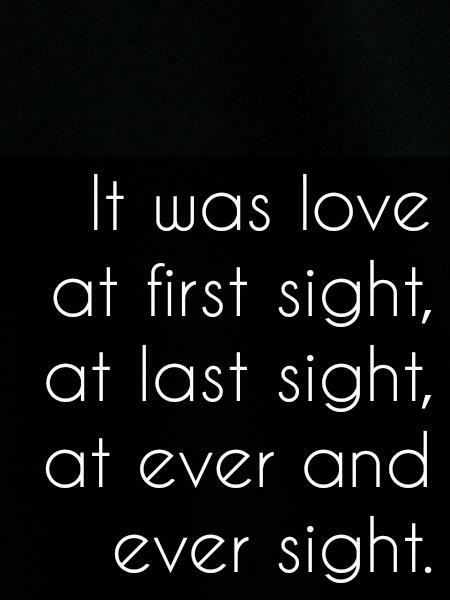 "It was love at first sight, at last sight, at ever and ever sight." 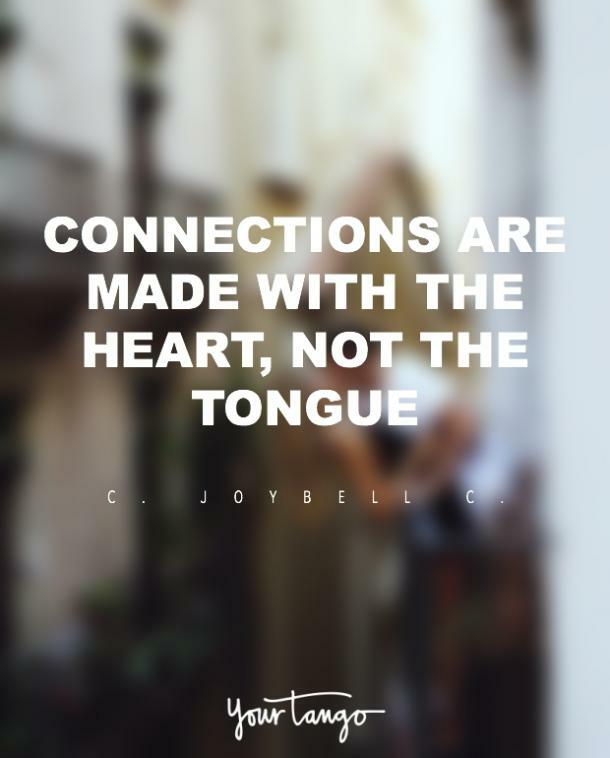 "You can talk with someone for years, everyday, and still, it won't mean as much as what you can have when you sit in front of someone, not saying a word, yet you feel that person with your heart, you feel like you have known the person for forever ... connections are made with the heart, not the tongue." "You are the one girl that made me risk everything for a future worth having." “In order to be happy oneself it is necessary to make at least one other person happy." "Finding someone you love and who loves you back is a wonderful, wonderful feeling. 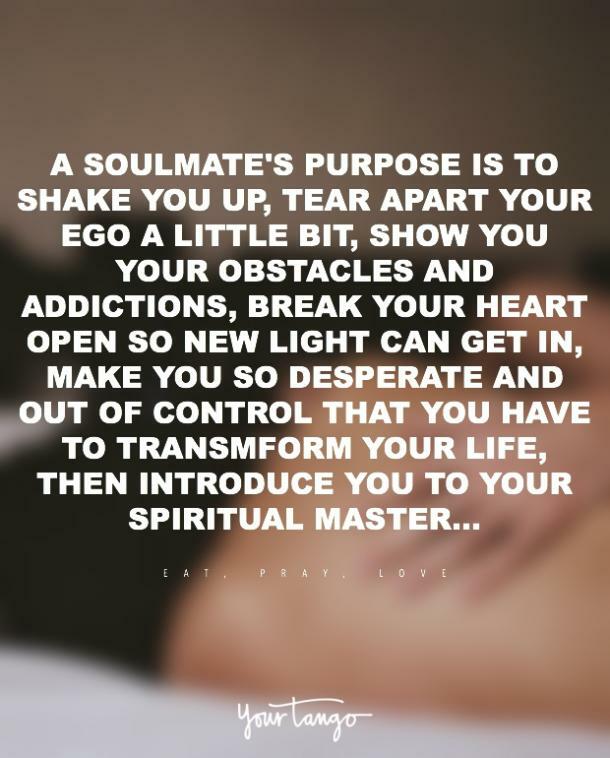 But finding a true soul mate is an even better feeling. A soul mate is someone who understands you like no other, loves you like no other, will be there for you forever, no matter what. They say that nothing lasts forever, but I am a firm believer in the fact that for some, love lives on even after we're gone." "Baby, you are my New Year's Eve, the beginning and end of everything." 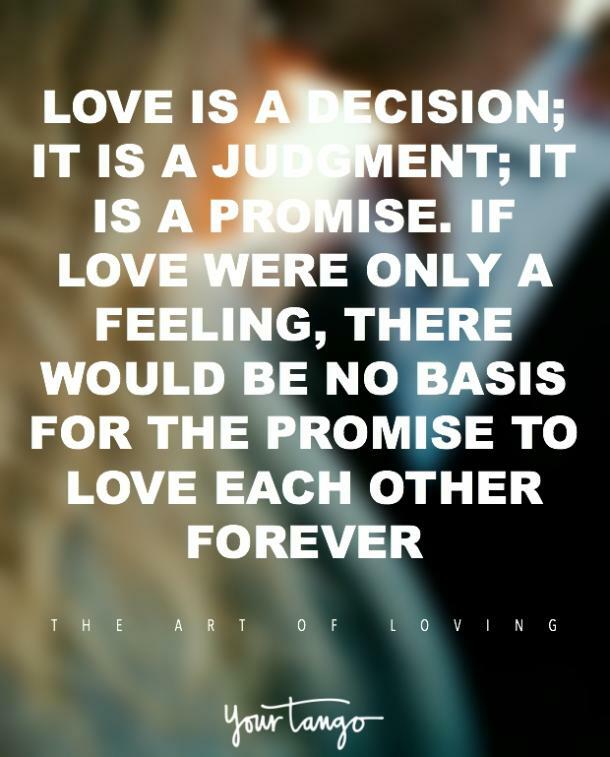 "Love is a decision; it is a judgment; it is a promise. If love were only a feeling, there would be no basis for the promise to love each other forever. A feeling comes and it may go. How can I judge that it will stay forever, when my act does not involve judgment and decision." 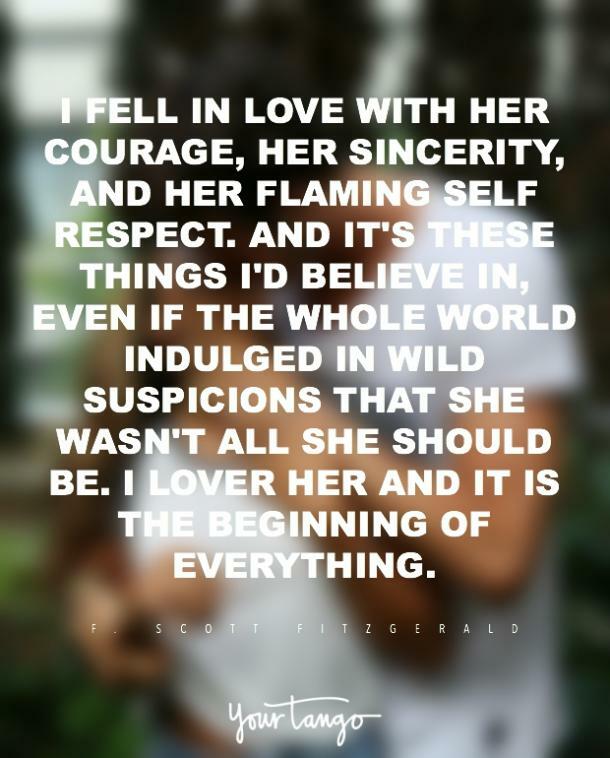 "I fell in love with her courage, her sincerity, and her flaming self respect. And it's these things I'd believe in, even if the whole world indulged in wild suspicions that she wasn't all she should be. I love her and it is the beginning of everything." "Then I realize what it is. It's him. Something about him makes me feel like I am about to fall. Or turn to liquid. Or burst into flames." "We are most alive when we're in love." 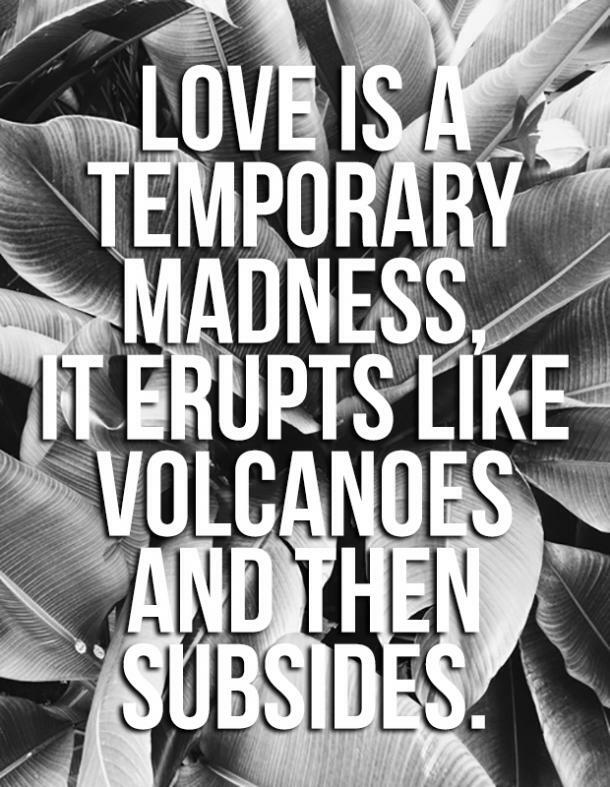 "Love is a temporary madness, it erupts like volcanoes and then subsides. And when it subsides, you have to make a decision. You have to work out whether your roots have so entwined together that it is inconceivable that you should ever part. 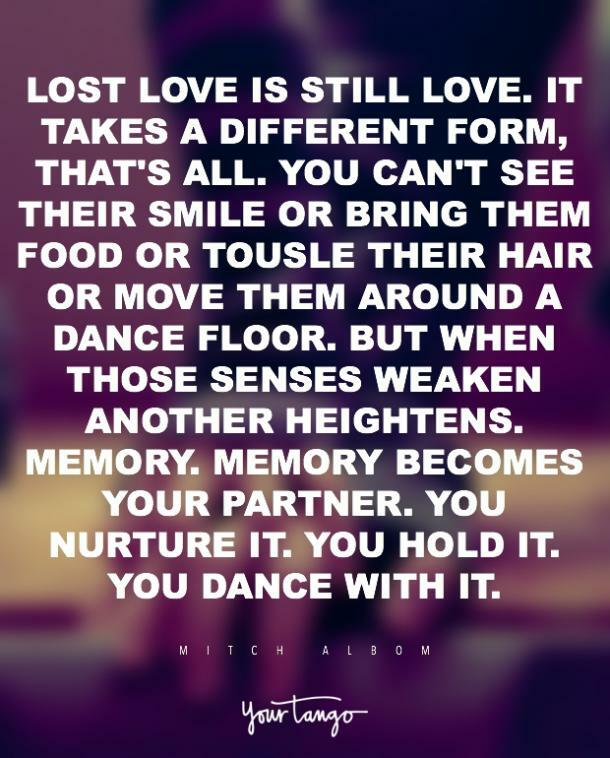 Because this is what love is. Love is not breathlessness, it is not excitement, it is not the promulgation of promises of eternal passion, it is not the desire to mate every second minute of the day, it is not lying awake at night imagining that he is kissing every cranny of your body. No, don't blush, I am telling you some truths. 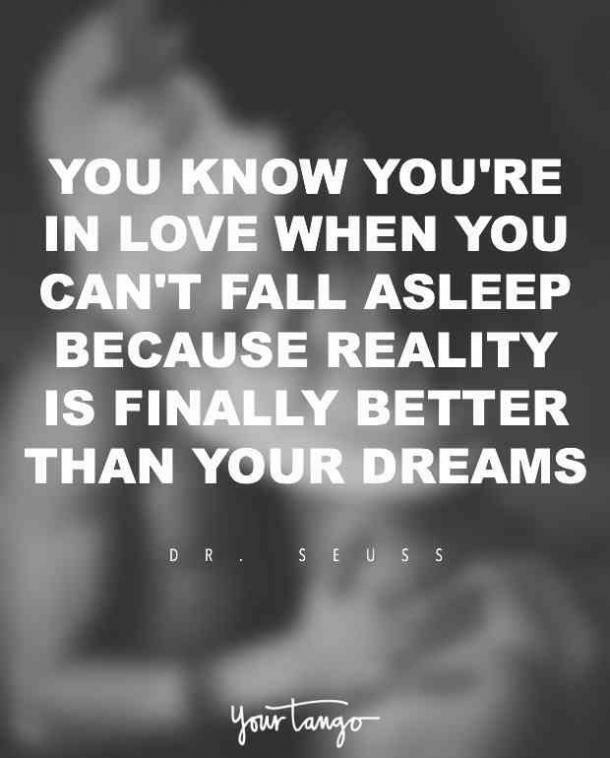 That is just being 'in love', which any fool can do." You don't marry someone you can live with — you marry someone you cannot live without." 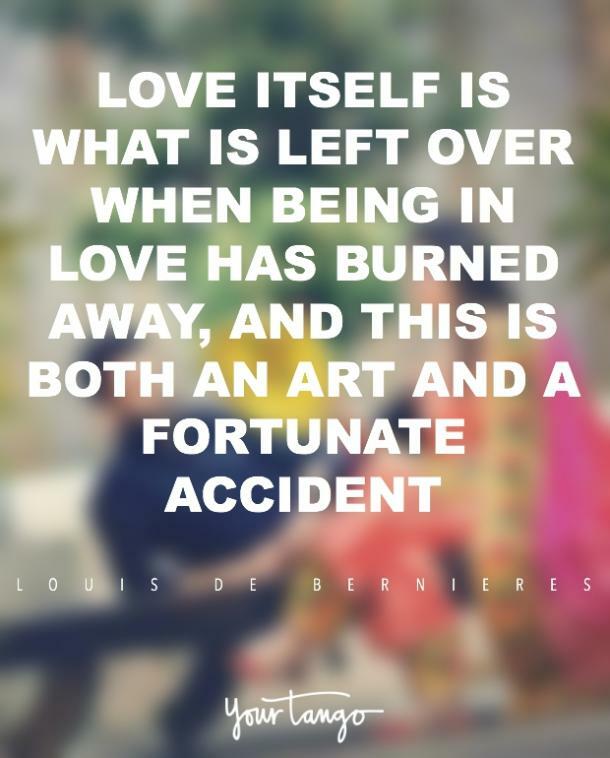 "Love itself is what is left over when being in love has burned away, and this is both an art and a fortunate accident." "Nobody has ever measured, not even poets, how much the heart can hold." 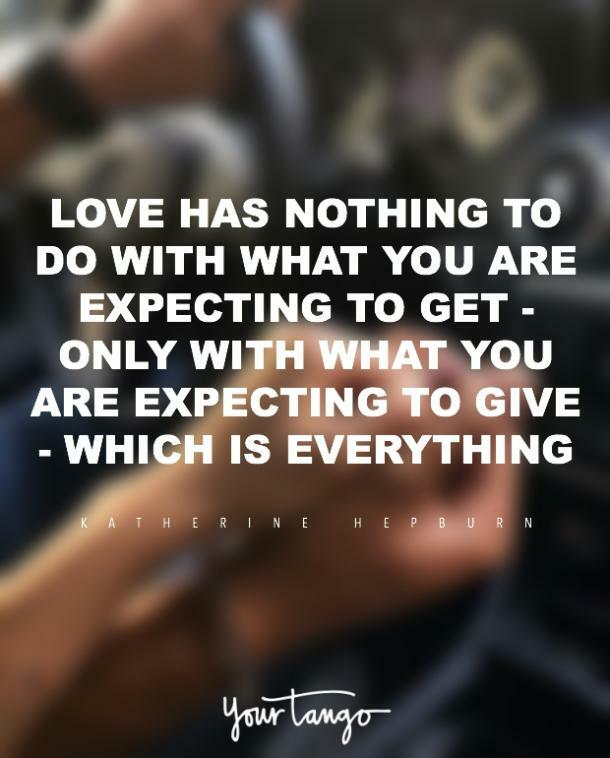 "Love has nothing to do with what you are expecting to get — only with what you are expecting to give — which is everything." "In all the world, there is no love for you like mine." "I will love you always. When this red hair is white, I will still love you. When the smooth softness of youth is replaced by the delicate softness of age, I will still want to touch your skin. When your face is full of the lines of every smile you have ever smiled, of every surprise I have seen flash through your eyes, when every tear you have ever cried has left its mark upon your face, I will treasure you all the more, because I was there to see it all. I will share your life with you, Meredith, and I will love you until the last breath leaves your body or mine." 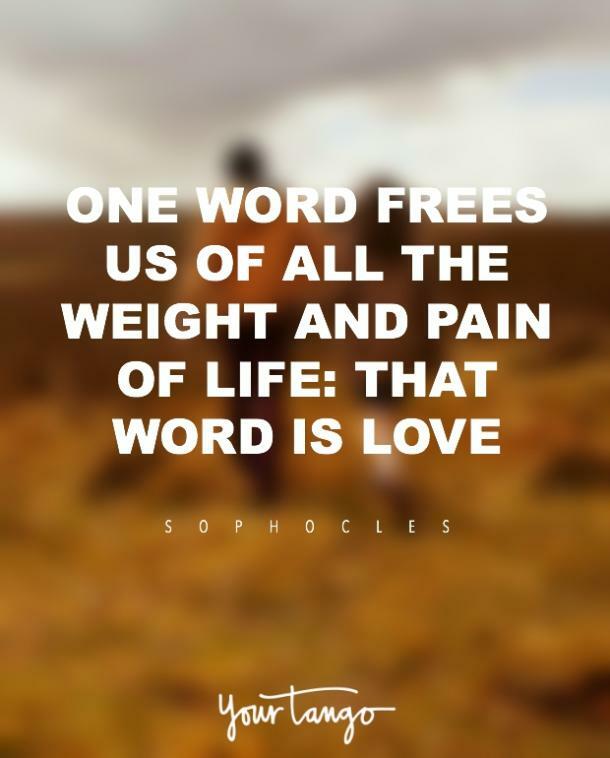 "It has been said, 'Where there is love, there is life.' Baby, we're going to live forever." "The most important thing in the world is family and love."